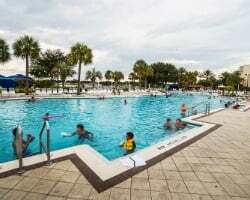 Experience the extensive amount of family-friendly activities, amenities, and services right on-site at Orange Lake West Village when you buy or rent a timeshare from SellMyTimeshareNow.com. Additionally, we'll help you get there for an unbeatable price with up to 70% off in savings! What’s My Orange Lake Resort West Village Timeshare Worth? The Orange Lake West Village is where it all started for Orange Lake Resort. It is the oldest—and a much-sought after—property, and for good reason. With all of the unique amenities and fun activities to do around the area, you'll find there's plenty of things to keep you busy and relaxed during your next Orlando vacation. 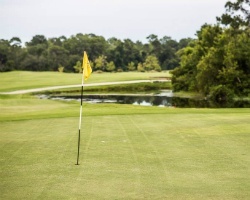 From golfing, watersports, and tennis, to live entertainment, dining, and karaoke nights—you'll find it all right on-site at Orange Lake West Village. Not to mention the close proximity to Orlando's famed parks and attractions, this is the ideal destination for your family getaway. Orange Lake West Village has a number of different units to choose from. Whether you're planning a vacation for the family or vacation for you and a spouse, Orange Lake Resort West Village has you covered. Choose between a studio, one-, two-, or three-bedroom unit. All come well equipped with kitchen facilities, washer and dryer access, dining tables, private sleeping areas, and some even have balconies with fairway views! More accommodation options can be found at Orange Lake Resort East Village, Orange Lake Resort North Village, and Orange Lake Resort River Island. Find your perfect Orange Lake West Village resale or rental unit today with our help! Complete the form located on the right side of the page, or give us a call at 1-877-815-4227. One of our knowledgeable timeshare resale specialists will be happy to assist you. If you think you can't afford an Orange Lake Resort West Village timeshare, think again. The resale market makes vacation ownership simple and attainable for a wide range of budgets. Save thousands by shopping our impressive inventory of by-owner advertised properties with discounts as significant as 70% below retail. Buying on the secondary market is a convenient way to save thousands on annual, luxury vacations for you and your family. Find Holiday Inn Club Vacations at Orange Lake Resort West Village timeshares in deeded fixed weeks with annual usage. This makes it easy to plan ahead for your yearly getaway, ensuring you can choose your desired week and make it a fun family tradition. Plus, with internal and external exchange options, you can change up your destination year after year to experience new and exciting locations. Orange Lake Resort West Village timeshare owners get to enjoy some of the benefits of owning at a resort affiliated with Holiday Inn Club Vacations. This includes the ability to upgrade to a Club Points membership after purchasing and saving thousands on the resale market. This points program allows you to make a reservation at any of the HICV resorts through internal exchange. It also allows you to vacation when and how long you want for a fully customized experience. 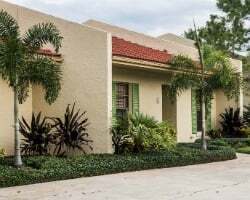 Owners at Orange Lake Resort West Village have the opportunity to take their timeshare experience to the next level by purchasing an annual membership to RCI. The world's leader in external exchange, RCI boasts an impressive network of affiliated resort located all over the world. 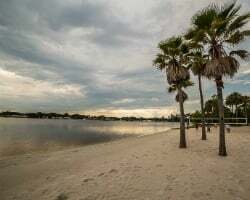 As Orange Lake West Village is one of these properties, timeshare owners can exchange their week with RCI for a vacation virtually anywhere. Additionally, Orange Lake Resort West Village is an RCI Gold Crown rated resort, giving owners the highest possible trading power when going to exchange their week. Holiday Inn Orange Lake West Village is home to a wealth of unique and enjoyable features to enhance your getaway experience. So much more than just a place to lay your head at the end of the day, the sprawling resort complex offers a multitude of swimming pools, sports courts, restaurants, and hot tubs. Some amenities of note include the Water's Edge Beach Club, Breezes Restaurant and Bar, The Gatorland Show, and a miniature golf course. And those are just within the Orange Lake West Village area! Guests also have access to the many other attractions throughout the Orange Lake Resort complex. The fun, of course, doesn't stop once you've left the resort property. Orlando is a hub for praiseworthy activity, attracting all types of travellers for family outings to romantic getaways. Take the kids over to any of the city's fantastic theme parks or spend a night with your significant other touring the various restaurants and bars—Orlando really has it all! Already Own at Holiday Inn Club Vacations at Orange Lake Resort West Village?